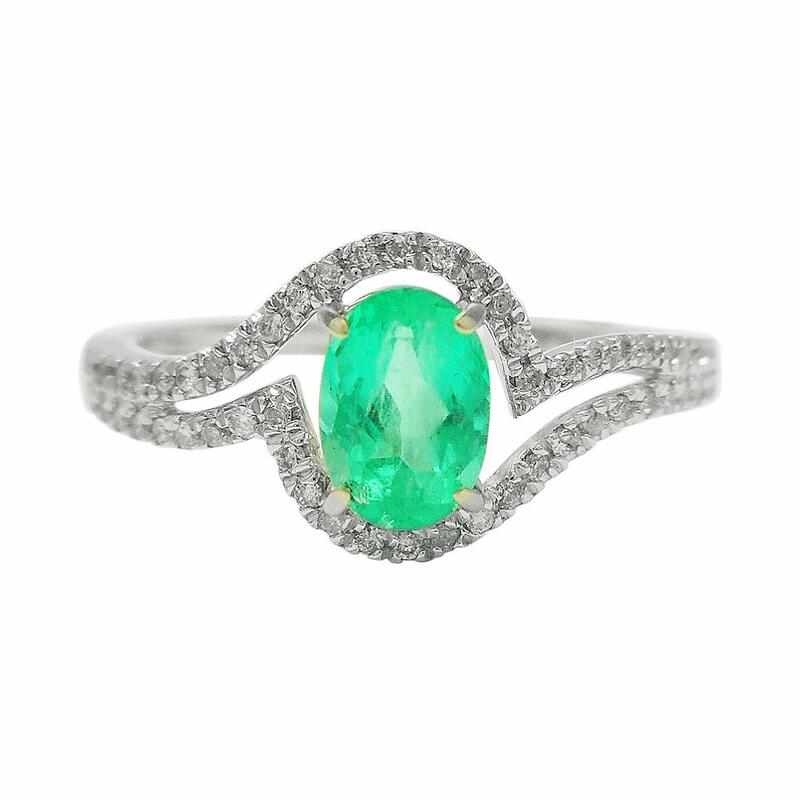 One electronically tested 14KT white gold ladies cast emerald & diamond ring with a bright finish. The featured emerald is set within curving diamond set ribbons, completed by a two millimeter wide band. Identified with markings of "14K". Condition is new, good workmanship. One prong set oval mixed cut natural emerald, measuring 6.10 x 4.30 x 3.41mm, approximate weight of 0.56ct., clarity is slightly included, type III, medium dark, moderately strong, green color, (GIA G 6/4), cut is good. Transmitting light with no distortion, transparent. Naturally occurring internal & external characteristics are present. Graded in the setting. Fifty-Two prong set round brilliant cut diamonds, measuring 0.80 - 0.65 x 0.44mm (depth est.) approximate total weight of 52 Stones = 0.11ct. Graded in the setting.